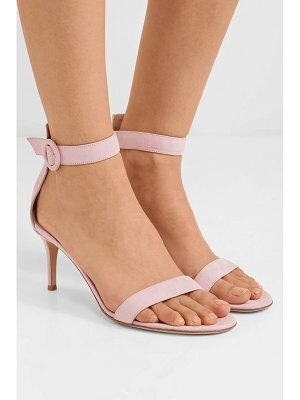 kate spade new york suede city sandal with ruffle trim. 3.5" covered block heel. Strap bands open toe. d'Orsay silhouette. Adjustable ankle strap. Leather lining and sole. "odele" is imported.